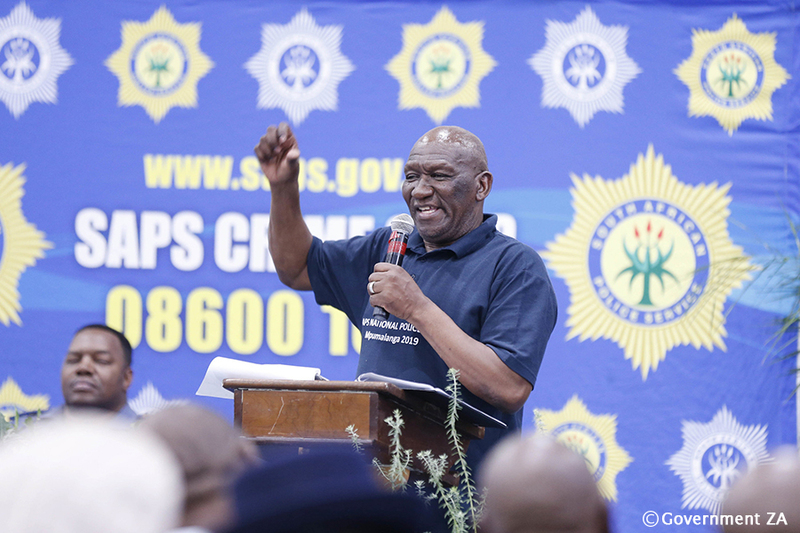 Police Minister Bheki Cele has affirmed that South Africa’s security cluster stands ready and voters will be able to cast their votes freely and safely come election day on 8 May. The Justice, Crime Prevention and Security Cluster (JCPS), with only 24 days to go to the sixth general election, convened a media briefing on its safety plans for the polls at the South African Police Service College in the capital Pretoria. Outlining the country’s state of readiness for securing 22,924 voting stations to be operational and ready, Cele said: “We are more than committed to ensuring the safety of all voters and voting stations. “We declare that, as a cluster, we are operationally ready to execute our mandate and ensure a safe and secure environment for free and fair elections to prevail,” Cele said. The JCPS cluster briefing took place amid several service delivery protests across the country, most notably, the protests in Pretoria which aimed to shut down the capital city. In light of this, the cluster said it would be on high alert, adding that South Africans could expect increased visibility. “The South African Police Service will, during the build-up to the election, on the day of the election and the period after the election, increase police visibility through focused deployments of personnel throughout the country,” Cele said.